IMAGE: Tyson Fury celebrates winning the fight against Wladimir Klitschko. Photograph: Kai Pfaffenbach /Reuters. Heavyweight world boxing champion Tyson Fury has tested positive for cocaine, ESPN reported on Friday citing a leaked letter sent by the Voluntary Anti-Doping Agency (VADA). Contacted late on Friday, no one was available at the British Boxing Board of Control or World Boxing Organization (WBO) to comment. 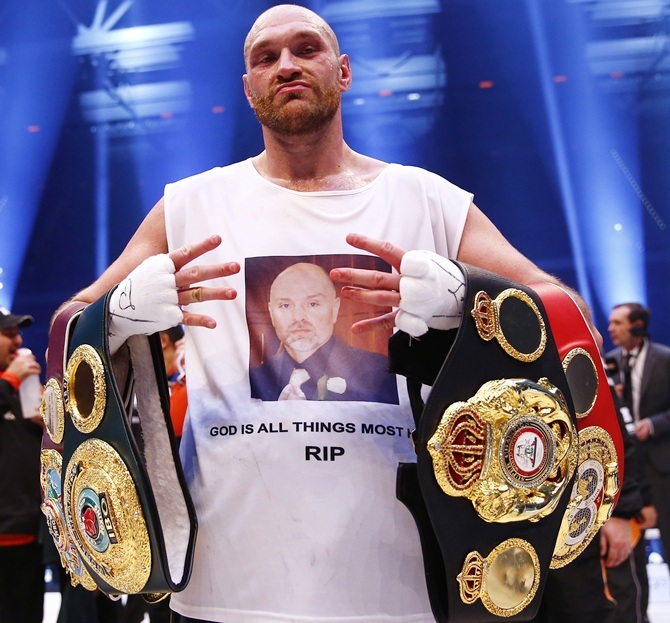 Will boxer Fury be stripped of all his titles?